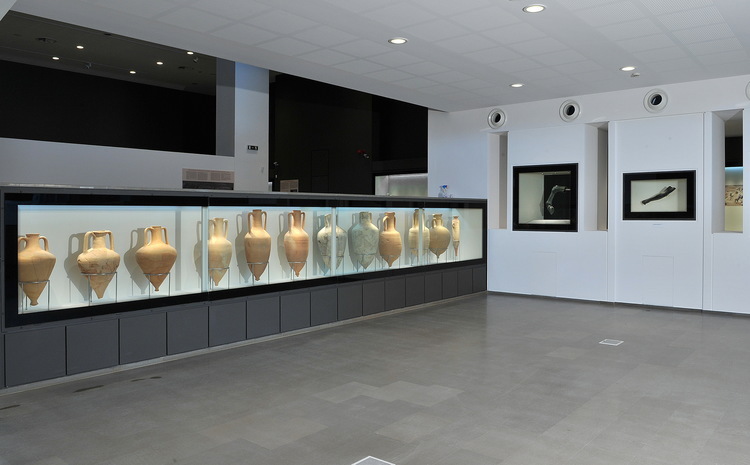 The relation of nature and building, topography and architecture, in the case of the New Archaeological Museum of Pella has stood into two components: the integration inside the archaeological site and the emergence of the Hellenistic Pella. The current landscape, viewed from the air or on foot, can capture the historical references of ancient and modern Greece, as a complexity of historical levels, leaving each of them their own footprint. The museum has public spaces (entrance, cloakroom, bar, media room), an exhibition area of 1500.00 m2 with atrium, a multipurpose hall for 120 persons, administrative offices, labs, archives, storage and E/M areas. The landscape around it organises the access to the archaeological site and the city of Pella.